EconomicPolicyJournal.com: Is the Trump Administration Planning to Eliminate Current Tax Deductions for IRAs and Keoghs? Is the Trump Administration Planning to Eliminate Current Tax Deductions for IRAs and Keoghs? Let's hope for continued incompetency from these two. so-called "Roth 401(k) plans". That means you don't get to take the tax deductions now when you put the money into the plan; instead, the deduction would occur perhaps 20 or even 40 years from now when you take it out to pay the nursing home bills! 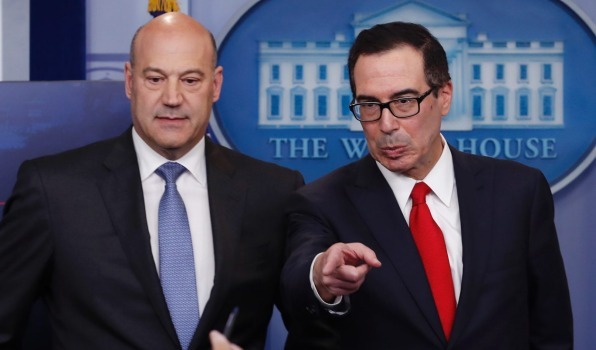 [T]here's not a snowball's chance in the hot place that any of these exclusions will be eliminated or even slightly modified----even if Mnuchin & Cohn are stealthily trying to do just that. To wit, they have kept in the shadows for the moment a double shuffle that would appear to help staunch the red ink from the Donald's tax plan. Let's hope they are as incompetent as they appear to be.